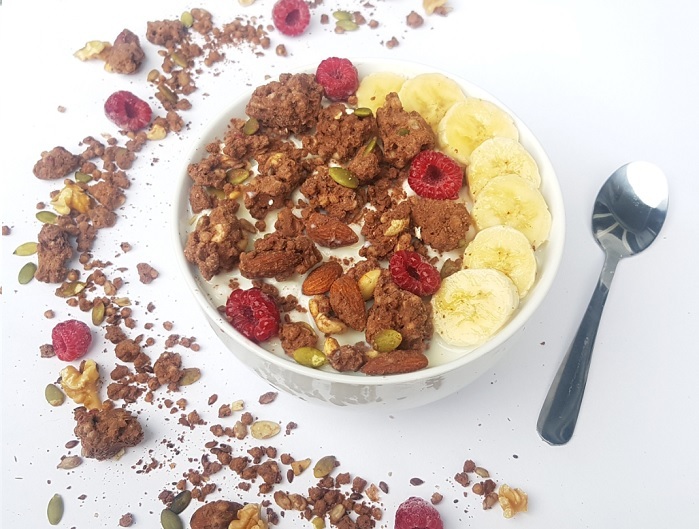 Our Protein-Ola is high protein granola with healthy fats and no added sugar. It's loaded with protein and good ingredients, and comes ready to eat in a single serve sachet. Add a splash of water or milk, or berries and yoghurt for a crunchy protein breakfast or snack. Can even be eaten straight from the pack! Other granolas use sugar and syrups often from brown sugar, honey, and/or dates to bind and 'cluster' ingredients together and give them a 'crunch'. Our product uses coconut oil instead and as a result the sugars per serve are very low. High sugar diets are linked to obesity, type 2 diabetes, heart disease, and other undesirable conditions. Coconut oil, though high in saturated fats, is a unique oil as it is high in Medium Chain Triglycerides (MCTs) and these are metabolised by the body in a different way than other saturated fats. These types of fats are rarely stored as fat in the body and instead are used for energy, but without raising blood sugar levels in the same way that carbohydrates do. Coconut oil has no trans fats (the bad type of fats) and is solid at room temperature, so we are able to use it in this product. Just don't leave the packets in a hot place (like inside your car) - it's best kept in a cool dry place. Lastly, we have used coconut oil because we believe that fats are overall better than sugars. New studies are associating carbohydrates (assumptively sugars) with greater mortality than fats. 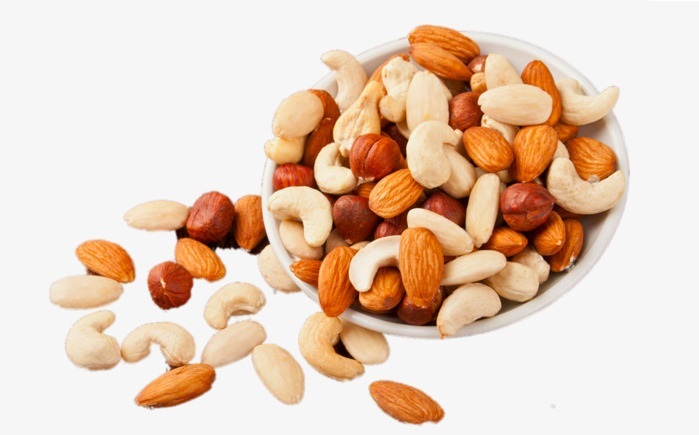 Nuts are seeds containing an abundance of essential nutrients such as proteins, healthy fats and essential fatty acids, fibre, antioxidants, and minerals. Granolas are typically high calorie products, and this is no exception. 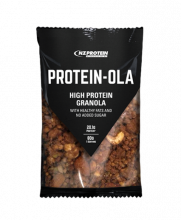 Though the calories in our Protein-Ola are high - they're actually lower than most other granolas found in the supermarket. The main reason that the calories are high is because the fat levels are high. One gram of fat contains 9 calories, whereas one gram of carbohydrates and protein contains 4 calories. However, this fat comes from coconut oil, nuts, and seeds. As stated above, coconut oil is unique as it is high in Medium Chain Triglycerides (MCTs) which are metabolised by the body in a different way than other saturated fats. MCTs have shorter fatty acid chain lengths so they're broken down rapidly and absorbed by the body. In other words they're a fast energy source and less likely to be stored as fat than some other fats. They don't raise blood sugar levels like carbohydrates do either. The evidence is mixed but some studies link MCT with lower cholesterol levels. The jist - not all calories are created equal. This product contains good ingredients. Pea isolate protein powder - a plant based protein that's easily digestible, alkaline, and slower digesting than whey. 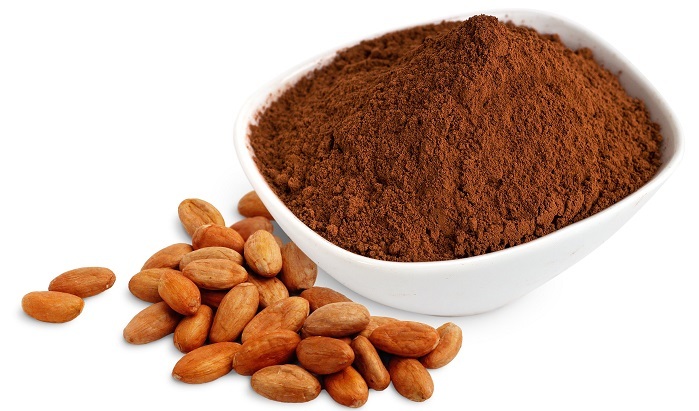 Cacao - a pure form of chocolate that's renowned for various health benefits and is considered a superfood. Xylitol - or natural birch sweetener, a sugar alcohol that adds calories but doesn't raise blood sugars. Quinoa - we love this stuff because it's a seed and not a grain. It's low on the glycemic index and it's a complete protein. 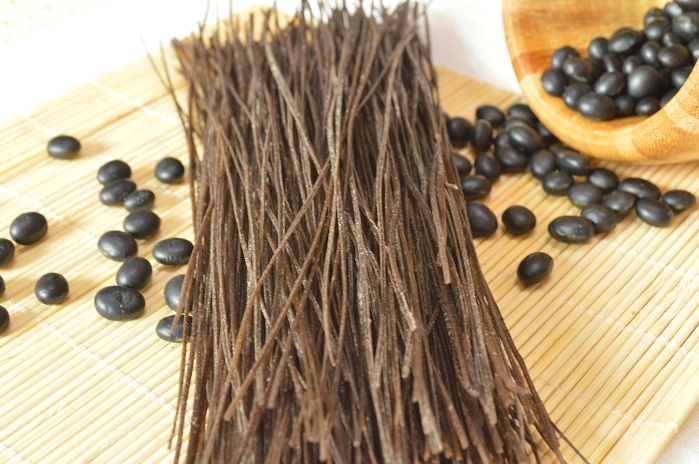 In fact it has so many nutrients that it's often called a superfood. 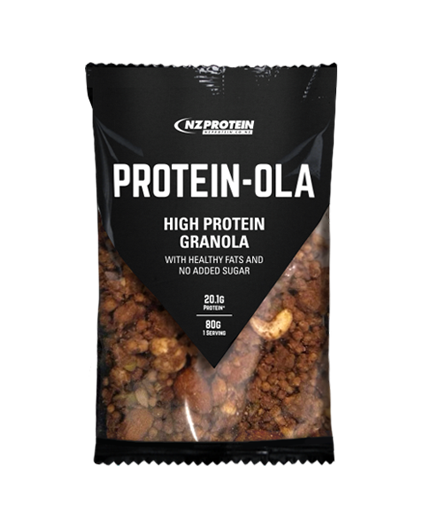 Even though it comes in a single serve sachet, our Protein-Ola is still more economical than most quality granola products on the market. At this price why bother going to get all the ingredients and then cooking your own granola when you can just use this. It's in a single serve sachet - for portion control and convenience. It's too easy to eat more of this stuff, so the single serve pack is quite useful and you'll thank us later. 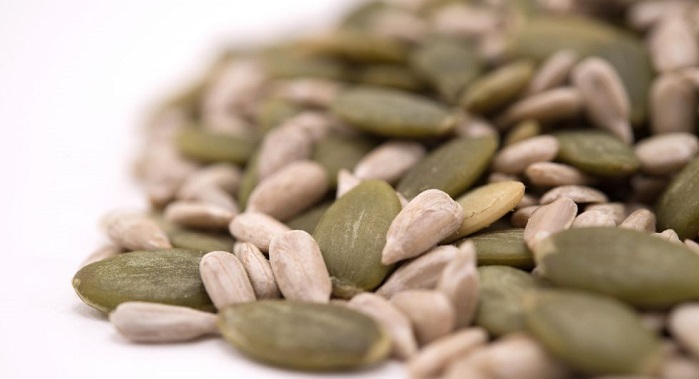 Put some in your pantry, some in the car and some at work because they're a great snack! Add it to berries and yoghurt. Put it in a food processor and grind it to a powder, which can then be used to make granola bars and biscuits. You'll need a binding agent - oil or honey work. *Please note that while every care is taken, this product is processed in a facility that also handles milk, egg, soy and gluten ingredients. Rated 4.67/5 Based on 6 customer reviews. Not sure why all other reviewers are loving it. 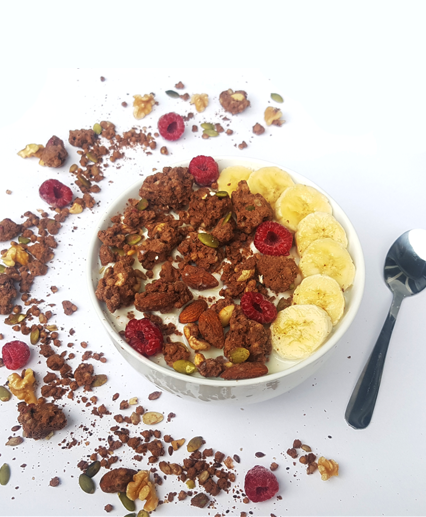 It has good nutritional content but tastes very strongly of pea protein and much more of a (cocoa&pea protein)powder-covered mix(puffsνts) than a granola. This granola tastes amazing and I'm stoked to have found one that's actually low in sugar and high in protein! Pea protein usually has a strong flavour but I can't even taste it, the chocolate is sooo delicious and I love the addition of all the nuts and seeds. I like adding it on top of my oats or smoothies for added healthy fats. Highly recommend! I love this product! One of my favourites! High in protein its the perfect breakfast, lunch or snack. 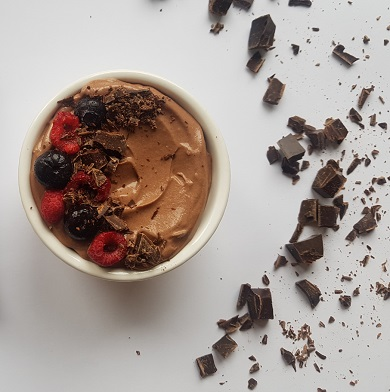 If you've got a sweet tooth like me this definitley hits the spot and its full of good healthy ingredients! Keeps you full for ages! easy to take anywhere and eat on the go or add yoghurt/milk for more of a meal. I would definitely reccomend this product to anyone! Ingredients: Nuts (Almonds, Cashews), Pea Isolate Protein, Coconut Oil, Seeds (Sunflower, Pumpkin, Flax, Chia), Quinoa, Xylitol, Cacao. Ingredients: Nuts (Almonds, Cashews), Pea Isolate Protein, Coconut Oil, Seeds (Sunflower, Pumpkin, Flax, Chia), Quinoa, Xylitol, Cinnamon.